"Mom, I like it fine. But, it's just kind of...well...fluffy," she said one day when we were discussing her personal devotions. And it was true. The devotional book my daughter was currently working through lacked depth. Finding meaty resources for her had been difficult, to say the least. So many of the devotional books that line the shelves of the local Christian bookstore are, as she said, full of fluff. On top of that, most are written for girls facing the public school struggles of catty girlfriends, negative peer pressure, and boy trouble...none of which apply to her. While popular tween/teen devotional books such the One Year Book of Devotionals for Girls and the One Year Be-tween You and God are certainly much-needed resources for the average tween/teen girl. 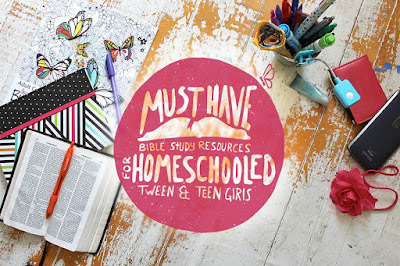 They don't necessarily make for the best Bible studies for my daughter or other homeschooled girls. 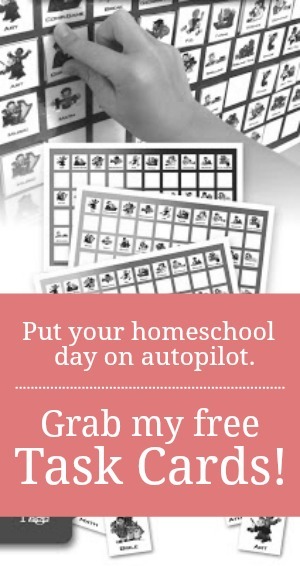 In the same way that a Bible study book written specifically for single mothers, new Believers, or rock climbers is not right for me because I'm not a single mother, a new Believer, or a rock climber, a devotional written for the average public-schooled girl is not right for my daughter because she homeschools. She approaches life with a different set of struggles and strengths. They are not better or worse...just different. "I have become all things to all men, that I may by all means save some." God has a specific RHEMA word for each of us no matter where we are on our faith journey. While I know devotional books are not necessary and that God's Word is certainly more than enough all by itself, I also know that sometimes a little bit of purposeful direction can help to unveil that RHEMA truth for each of us. So, when hunting for devotionals for my daughter, I went looking for resources that would meet her specific needs. I wanted books that would give her more than just a "cute" story with a verse slapped in the margin. I wanted books that would encourage her to dive deep into the Word, not just gloss over it with a quirky life application served up on a bedazzled page. I wanted books that would teach and train her towards Godliness and righteous living. I found five. And here they are. Bible Studies by Amy Byrd- These are workbook style studies written for teen girls and are similar to Beth Moore's Bible studies. Like Moore's studies, they are designed for small group study but can be done by one person also. In this hyper-sexualized age, discipling a girl towards Godliness and right living is tricky. So many devotionals begin with the assumption that girls are catty, hate their parents, and think the Bible is boring. But, my daughter was made for more than that. She deserves better. And so does yours. Our girls deserve all of the Gospel, not just the fun, glittery parts. They deserve the chance to know God deeply and to learn foundational theology early. One day I went looking for more. And I found it in these five resources. Thank you so much! I agree with your comment at the end of your post. That is what I dislike about most devotionals and other materials. My daughter does not fit that category at all, she is a lovely young lady who loves the Lord, loves her family, and I want to encourage that. Thanks for sharing these resources! I will look into them soon. You're welcome, Gabrielle. I hope you find one that will be a blessing to your daughter. Thank you, thank you! My heart resonates with everything you said, and these resources sound like just what I need for my 12 & 14 year old girls. I really appreciate you taking the time to research and share your findings. It's hard to find any devos that are full of public school scenarios. Hopefully you'll be able to find something you like on this list. I have written and published a Bible study book for teen girls titled “is Your Fruit Sweet or Sour?” It’s a topical study focusing on the common struggles that young girls face, such as Purity, Contentment, Having the Right Responses and Hypocrisy. More information can be found at www.preceptpublishing.com. Thank you for that suggestion, Karen, and for the link.